The Tuesday Bird Walk went to Moorecroft Regional Park in Nanoose Bay. The morning was mostly sunny with calm winds. A Townsend’s Warbler was spotted at the start of the walk. 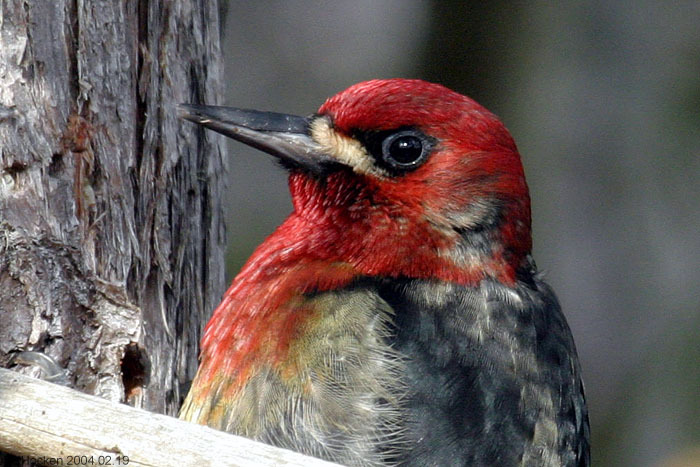 A Red-breasted Sapsucker was seen just off the trail. A Hammond’s Flycatcher was heard several times during the walk. 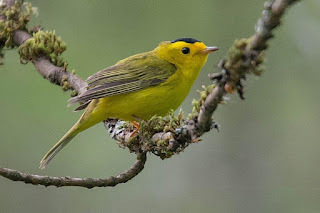 A Pacific-slope Flycatcher, several Orange-crowned Warblers, a large number of Yellow-rumped Warblers, two Townsend’s Warblers and a Black-throated Gray Warbler were seen high up in the tall trees near the trail. Summer is on it’s way! 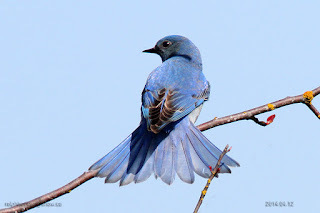 The Sunday Bird Walk on April 27, 2019 will be going to Legacy Marsh in upper Lantzville. Meet at the Backyard Wildbird and Nature Store (6314 Metral Drive in Nanaimo) at 9:00 am or under the Hydro lines on Normarel Drive, (off Highway 19 in upper Lantzville at Superior Road follow Superior Road to Normarel Drive) at about 9:15 am. The Tuesday Bird Walk on April 30, 2019 will be going to the Plummer Road side of the Englishman River in Parksville. Meet at the Parksville Community Park (near the Lions Club playground parking area) in Parksville at 9:00 am, or at the corner of Plummer Road and Shorewood Drive at about 9:10 am. To report your sightings please phone the Store at 250-390-3669 or e-mail us at thebackyard@shaw.ca. Please remember when reporting a sighting, to leave your name and phone number along with the date the species was seen and location of your sighting. Over forty White-fronted Geese were seen flying southwest over the Nanaimo Hospital towards Buttertubs Marsh in Nanaimo. The Tuesday Bird Walk went to Springwood Park in Parksville. The morning was cloudy with calm winds. 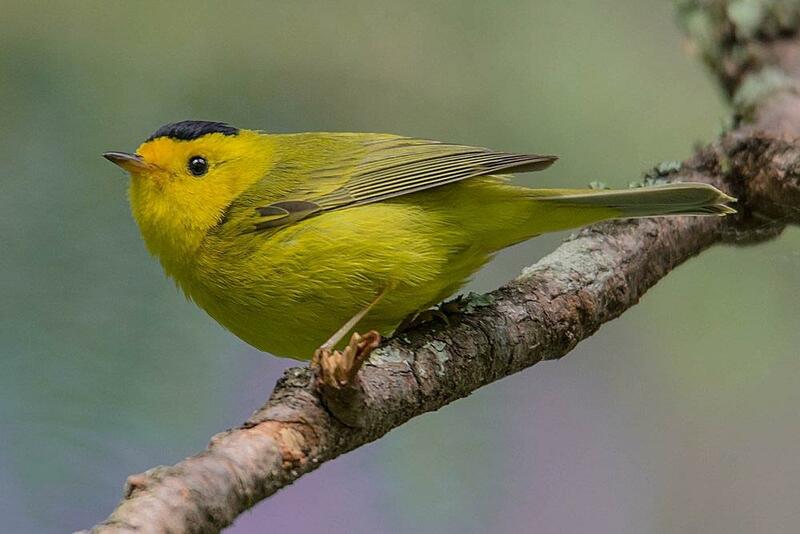 A Wilson’s Warbler was seen at the start of the walk. We heard and then saw several Orange-crowned Warblers during the walk. A pair of American Kestrel were perched high up in a tall tree giving us great views at the edge of the forest. A Barred Owl was seen next to the trunk of a tree and then flew giving us an excellent sighting. We had several sightings of male Anna's Hummingbirds during the walk. One Red-wing Blackbird was perched high in a tree at the edge of the forest. Two Sooty Grouse were heard calling along Westwood Ridge in Nanaimo. Please Note:Check this site (www.thebirdstore.blogspot.com) early Tuesday and Sunday on stormy mornings to see if the walks have been cancelled! The Tuesday Bird Walk on April 23, 2019 will be going to the Moorecroft Regional Park. Meet at the Parksville Community Park (near the Lions Club playground parking area) in Parksville at 9:00 am, or at Moorecroft Regional Park (follow Northwest Bay Road to Stewart Road and then follow the signs to the Park at 1563 Stewart Road) in Nanoose Bay at about 9:25 am. The Sunday Bird Walk on April 27 will be going to Legacy Marsh in upper Lantzville. 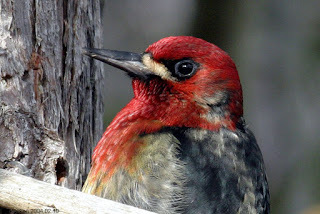 Meet at the Backyard Wildbird and Nature Store (6314 Metral Drive in Nanaimo) at 9:00 am or under the Hydro lines on Normarel Drive, (off Highway 19 in upper Lantzville at Superior Road follow Superior Road to Normatel Drive). at about 9:15 am. The Birdstore just received a report of many thousands of flocks of Gulls, Scoters and other seabirds at Lantzville this morning. The herring spawn has arrived here!!! To report your sightings phone the Store at 250-390-3669 or e-mail us at thebackyard@shaw.ca. Please remember, when reporting a sighting to leave your name and phone number along with the date the species was seen and location of your sighting. This week’s Sunday bird walk went to the Nanaimo River Estuary in south Nanaimo. The weather was sunny with calm winds. 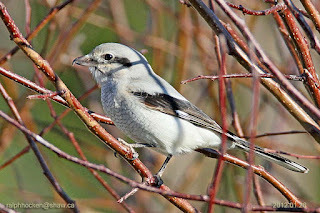 A Northern Shrike was spotted at the start of the walk. A Short–eared Owl was seen perched in a tree. Three Turkey Vultures were circling overhead. Violet-green Swallows, Barn Swallows, Tree Swallows, Barn Swallows, Northern Rough-wing Swallows and Common Ravens were see over head all morning. Savannah Sparrow were heard and then seen close to the trail. A Orange-crowned Warbler was spotted close to the trail. 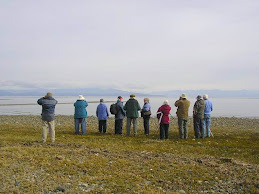 The Tuesday Bird Walk went to the Shelly Road side of the Englishman River Estuary. The morning was sunny and delightfully spring-like. The main highlights were a pair of Virginia Rail who gave us several great views, and a male and two female Mountain Bluebirds, with one of the females wide open in the sunshine showing herself to her best advantage. A Barred Owl was heard. David, Linda Prud’homme and Callie Larson. The Tuesday Bird Walk on April 16, 2019 will be going to the Springwood Park in Parksville. Meet at the Parksville Community Park (near the Lions Club playground parking lot) in Parksville at 9:00 am, or at the west end of Despaird Avenue Parksville at about 9:10 am.